I tried ganging up five full body scans on one print plate on the new Replicator. Printing Katie alone at high quality (.1mm layer height at 144mm tall) took close to 6 hours to print. This gang of 5 has been going for over 26 hours now, but it took over 12 hours to just slice the model for printing. In the future I don’t think I would gang them up more than 2-3 per print. I prefer shorter printing times. 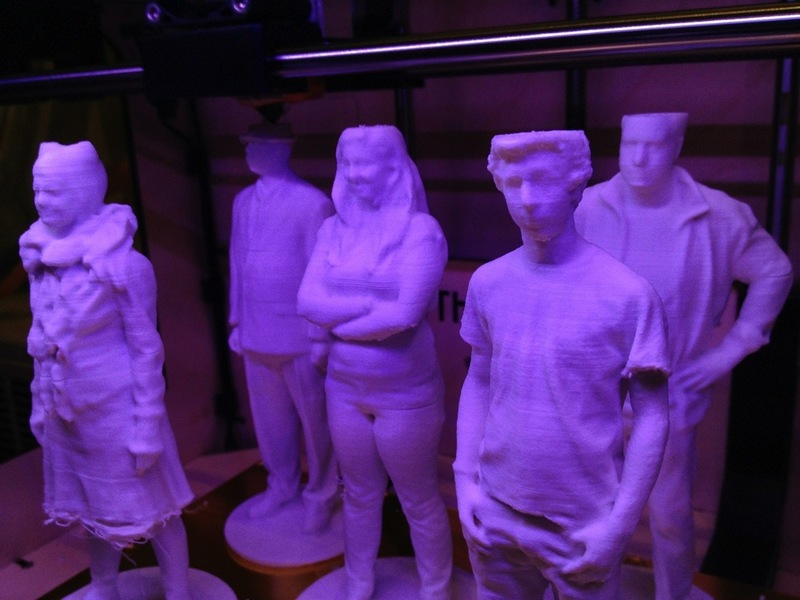 This entry was posted in 3D Printing, Adventures, Art Projects, Scan-A-Rama. Bookmark the permalink.